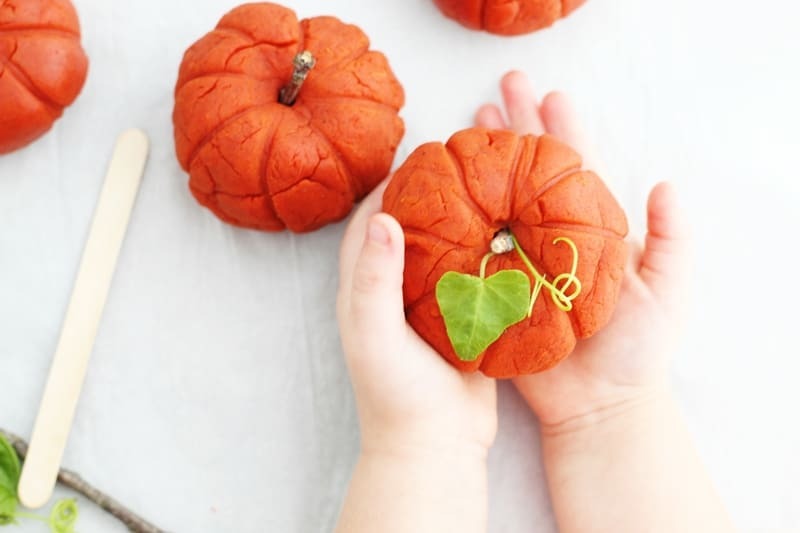 Enjoy Fall sensory play with the little ones with this taste-safe pumpkin spice playdough recipe made with non-toxic ingredients. 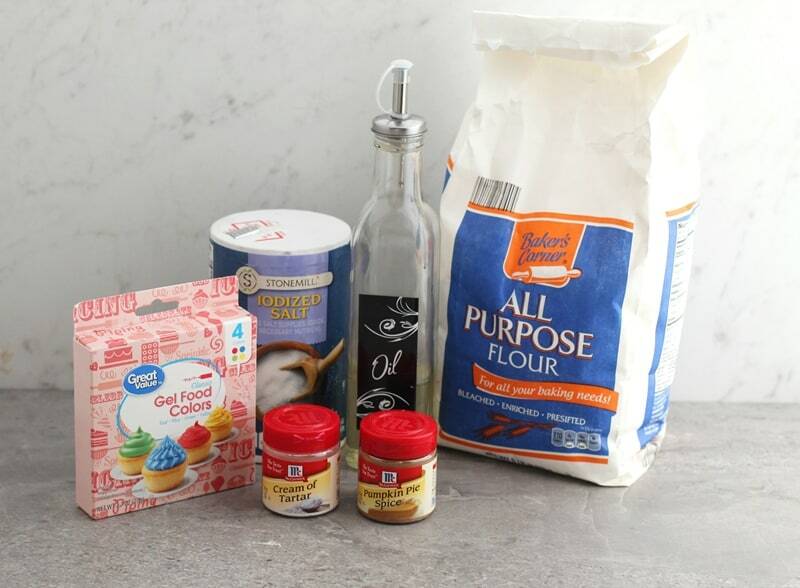 Since our taste-safe apple cinnamon scented playdough recipe was such a huge hit, I wanted to share another great taste-safe playdough recipe with you — pumpkin spice playdough. 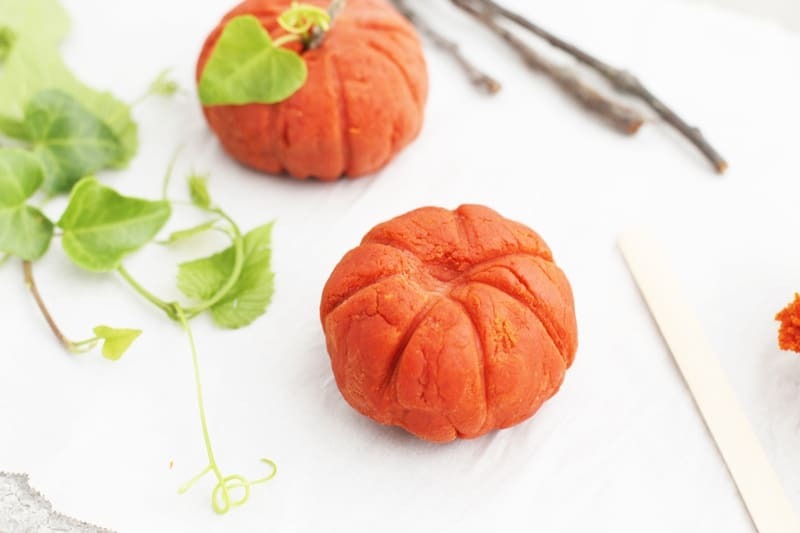 Made with edible ingredients, this taste-safe pumpkin playdough recipe is perfect for Fall sensory play with the kids. 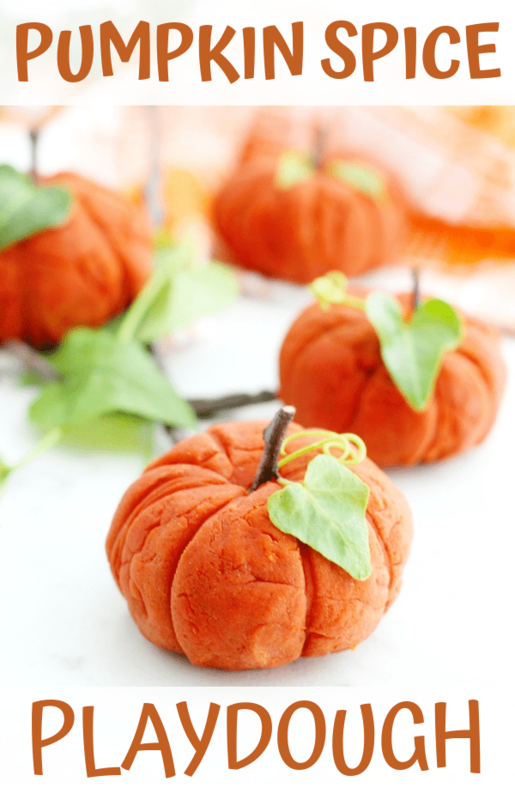 Let the kids form the playdough into pumpkin and decorate their pumpkins with leaves and twigs. We share all sorts of playdough and slime recipes on Crayons & Cravings, but when it comes to sensory play for the very little ones, I would always recommend choosing a recipe that is non-toxic and taste safe. It just helps to give you a piece of mind that if any of the children try and put the playdough in their mouths, at least you know that it is made with food-based ingredients. 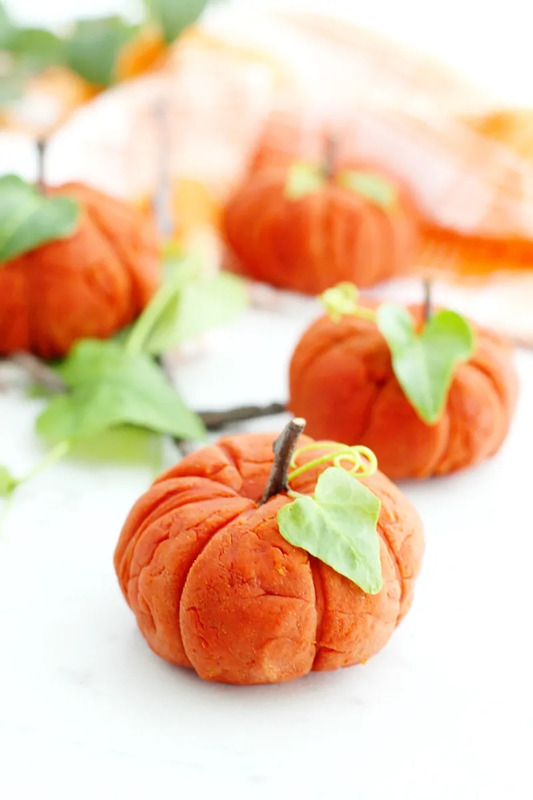 Let's take a look at how to make this fun pumpkin spice playdough. For your convenience I also included a printable version of the instructions with step-by-step instructions to the bottom of the post. I hope you find it helpful! Then, you will heat the ingredients on the stovetop until they thicken. Finally, you will knead the cooled playdough a bit. 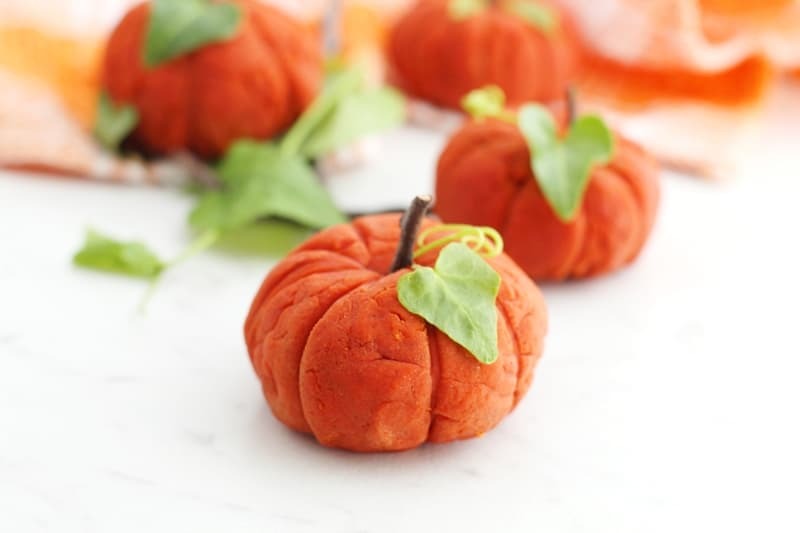 Now, the pumpkin playdough is ready to be enjoyed by the children. 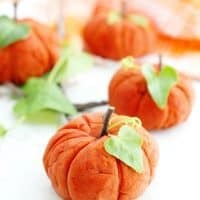 For even more fun, put some materials out on the table and let the kids use their imagination to turn their lump of orange playdough into a pumpkin. You could even take a walk outside to have the children collect leaves and twigs themselves. 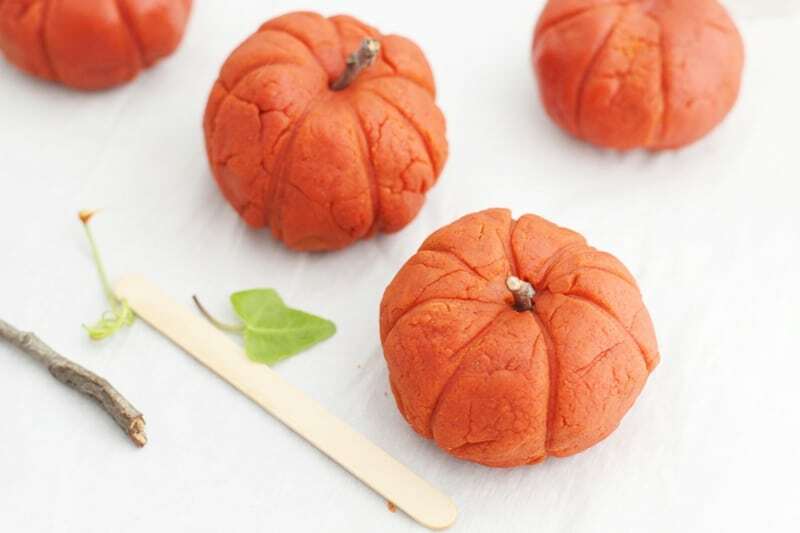 Either way, the kids will have fun using the popsicle sticks to make lines on their pumpkin. 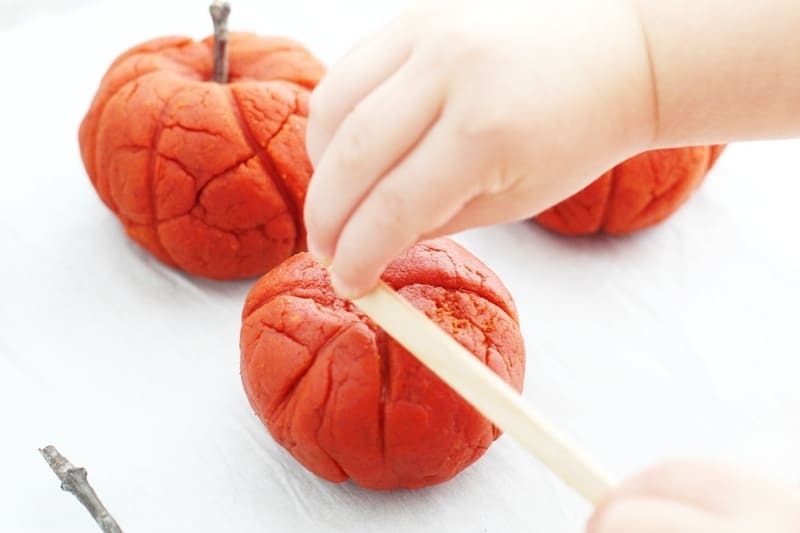 And adding sticks and leaves to their playdoh to make it look even more like a real pumpkin. In a small saucepan over medium heat, add the flour, salt, pumpkin pie spice, and cream of tartar. Stir until well combined. Add water, olive oil, and food coloring. 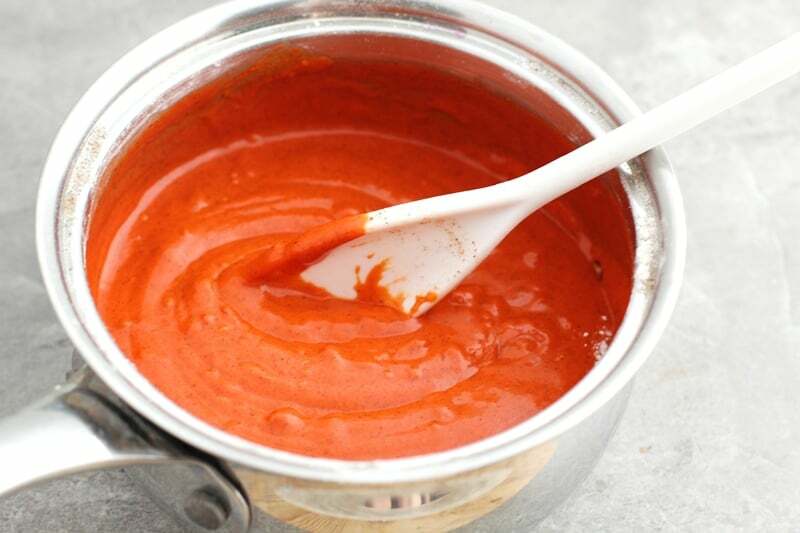 Stir continually until mixture thickens and starts to pull away from the sides of the pan and form a ball. 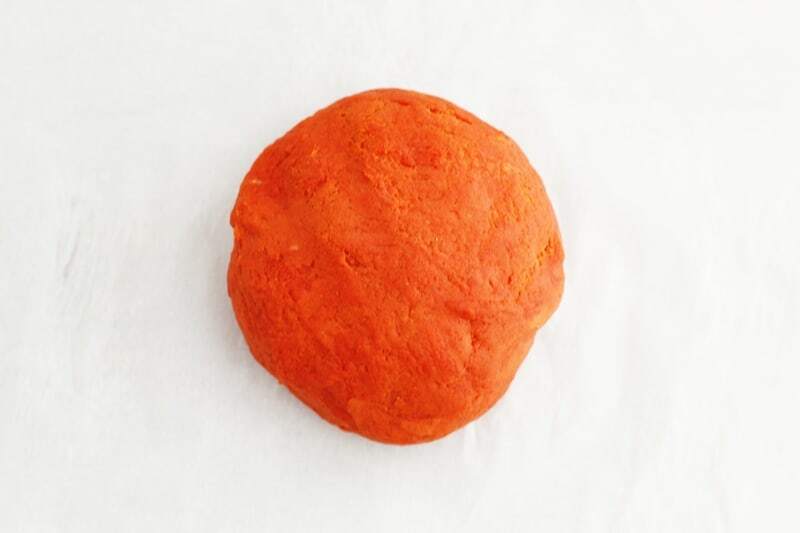 Place the cooled playdough on a non-stick surface and knead until the texture is smooth and the color is consistent throughout. 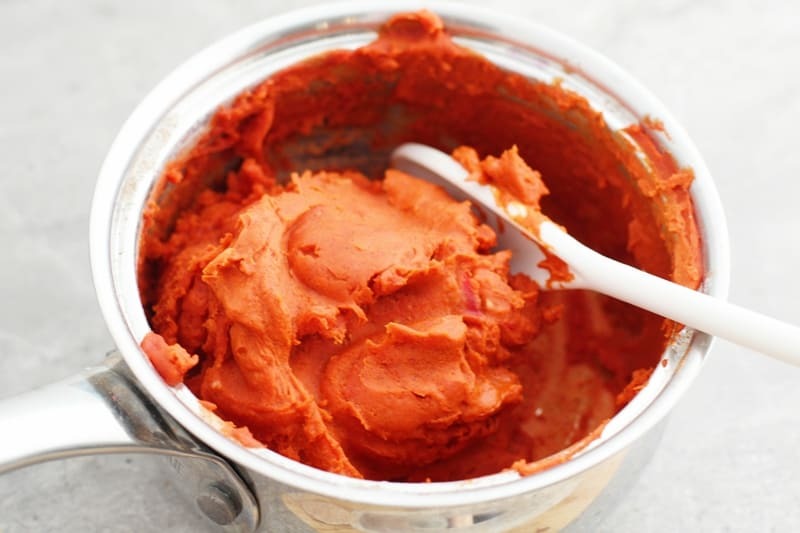 Store pumpkin spice playdough in an airtight container to prevent drying. If the playdough does start to dry out, add a little olive oil and knead. I love this idea, and also that you don’t need to worry if they take a taste. Love these! They look so real! With pumpkin spice I might want to taste the playdough myself! Those pumpkins are cute. Your pumpkins are beautiful, I can’t wait to try some of them on Thanksgiving while we are waiting for dinner. They love crafts and how perfect to use as a table decoration. The scent will be perfect also. Thanks for sharing. This looks like such fun! I love how festive it looks. This would be an awesome craft to let the kids do to decorate the table for Thanksgiving.